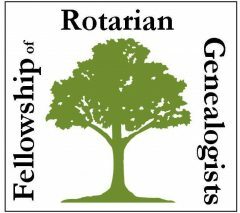 All Rotarians, their families and Rotary Alumni world-wide, who have an interest in genealogy and/or family history are invited to join our fellowship. Membership is be offered on an annual basis. New members pay a one time fee of $20 (USD) via PayPal by visiting the Rotary Club of Menomonie web site. Following the payment please register on this site on our Registration page.